Mathias Kleespies has headed the trademark and design department of Vossius & Partner since 2007 and became a partner in 2008. He advises clients on all areas of trademark, design patent, competition and copyright law, and has extensive experience as an IP litigator in these fields. Dr Kleespies is responsible for the trademark portfolios of some of the world’s leading industrial companies and manufacturers in the areas of fashion, telecommunication, high technology, pharmaceuticals, chemicals, paper, automotive and consumer goods. His practice includes strategic advice on international trademark portfolios, including the development of customised filing strategies. In addition, Dr Kleespies frequently represents clients before civil courts in litigation and invalidation proceedings. His litigation practice also focuses on the enforcement of design rights and the handling of unfair competition disputes and customs proceedings. Due to its strong market presence, Vossius & Partner was recently awarded the title Firm of the Year – Patents by renowned German publishing house JUVE. Dr Kleespies studied at the Universities of Munster, Dresden and Exeter, United Kingdom. He holds a PhD in corporate law and an LLM in IP law. 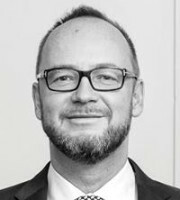 Dr Kleespies is co-editor and author of the practitioner’s handbooks on German, European and international trademark law and design law, Formularkommentar Markenrecht and Formularkommentar Designrecht, and frequently lectures on trademark and design law.